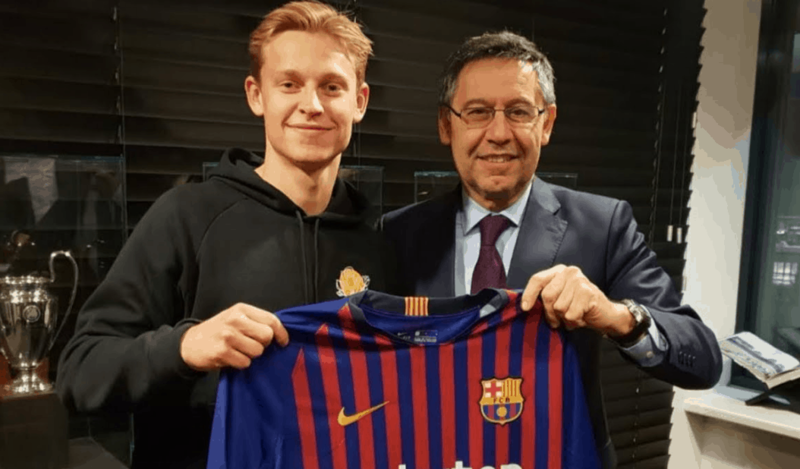 Barcelona president Josep Maria Bartomeu admits that Frenkie De Jong had chosen to sign for PSG. “Knowing that Frenkie De Jong had chosen to sign for PSG and decline the proposal of Barcelona, I decided to take a plane to Amsterdam.”, said Bartomeu. However, Catalan club president clinched De Jong’s commitment ahead of PSG sports chief Antero Henrique. 21-years old midfielder will join Barcelona this summer for a fee rising to €86m.